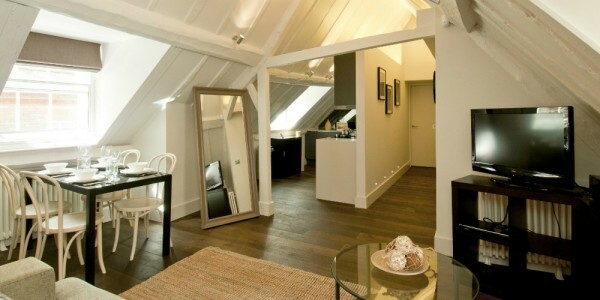 College Hill offers a range of beautifully furnished one bedroom serviced apartments. Most of these apartments come with wooden flooring throughout and feature a fully equipped kitchen with contemporary appliances, a spacious lounge with a dining area, one bedroom with a comfy bed and an ensuite bathroom. 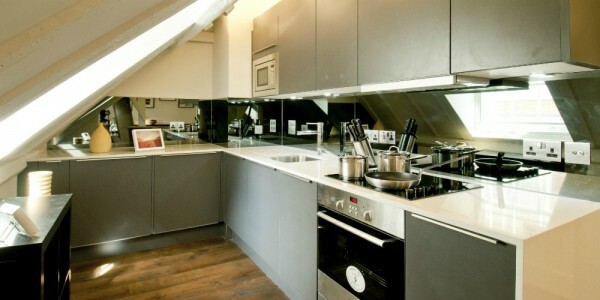 College Hill offers a range of beautifully furnished two bedroom serviced apartments. Most of these apartments come with wooden flooring throughout and feature a fully equipped kitchen with contemporary appliances, a spacious lounge with a dining area, a master bedroom with an ensuite bathroom, an additional bedroom and a separate WC. The Go Native College Hill apartments are nestled in a courtyard in the middle of the Square Mile. You’ll enter through a distinctive doorway and leave reluctantly - these are apartments warmly decorated and finished to the highest standard. Leaving the property’s traditional beams and designer furnishings, head to Leadenhall Market before settling in the secretive St Dunstan’s-in-the-East gardens. The City has some of the oldest pubs and most exclusive views: Climb Monument for a traditional look or Vertigo 42 for a modern panoramic. 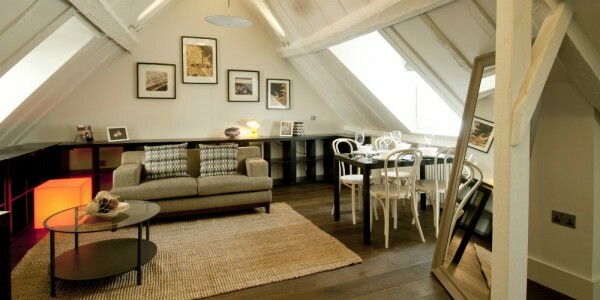 You’re within walking distance of Shakespeare’s Globe and only two stops from the South Bank’s theatres. Finding College Hill is easy; it’s less than a five-minute walk from Mansion House, Cannon Street, and St Paul's Tube.